The Samsung S-View Flip Cover Clear enables you to see and interact with your phone screen through the front of the case. Are you looking for the best cell phone insurance then check the link out.Respond to incoming phone calls, alarms and events while the cover is closed. With a built-in kickstand to prop the phone up, you can show off the full screen whether your cover is open or closed. Press the power key to check the time, weather and other status items like missed calls and texts with cover closed. Hello, would you like to talk about our products? see samsung official products.. have a note8. confused as to U r an authorized retailer? Yes were an authorized reseller. 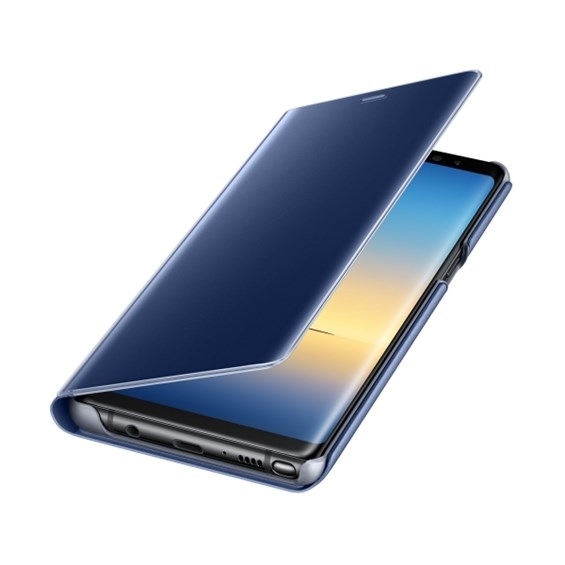 interested in the Samsung S-View Flip Cover ... will work with some brand of screen protector? that's nice... do you have a protector, recomended? let me poke around... think to order w/ samsung fast/free/gaurentee... safer feeling... discount is ok, but 20% is not much on purchase. but thank you. any holster case for note8? and what about dex? and what about vehicle charger? best quality and price? your recomendation matters since U know these right? We do have the dex but no holster cases. Scratched so easily within the first two days, I couldn't see it holding up over time. First and foremost, on the second day, I looked at it on my desk and noticed two obvious scratches - one lower to the bottom and a second directly over the AOD (Always On Display). These were very obvious on such a shiny screen especially over the display area. I'm very careful with my phone and only put in my pocket to bring it into work and back to my car. Just that action was, apparently, enough to cause these scratches. I suppose they could have been there when I bought it, but I don't remember seeing them. If you decide to buy this, check the front very carefully when you first open it and then be extra careful what you let it rub against (keys, change, other metal, etc.). Second, the entire front cover is made of this plastic, but it's not clear - it's opaque. Yes, it works to show the display, but it's slightly blurred. 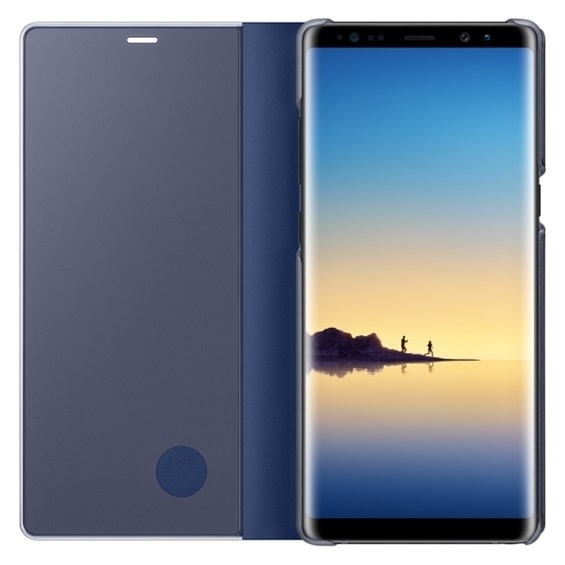 Not a big deal, and I could have lived with it, but I don't understand why Samsung was create an opaque case to cover the brightest and most clear screen it's every produced. Strange. Third, the case is designed to work as a kickstand to hold up the phone. Magnets hold the phone section to the back of the case. When you pull on it, you can lift it up and then prop the front of the case against the back. It's held in place with a little lip, creating a triangle shape. It worked okay, but didn't really "lock" in place very well. Almost any movement of the phone would cause the triangle to come apart, which caused me to hit buttons fumbling to get it back into place. This is minor issue, and probably isn't a big deal for people with better dexterity, but it didn't seem as solid as it could have been. I had a Samsung S-view case for my old Note 3 that I was very happy with. It was a case the phone locked into and had a clear window that showed the AOD - simple and easy. I think they wanted to "spruce" it up a bit and, in my opinion, failed pretty miserably at it. 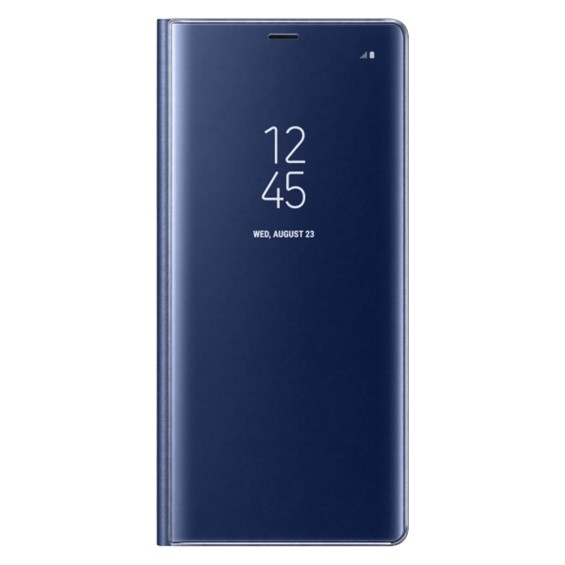 I returned mine - will probably get something else (maybe even a different style from Samsung). 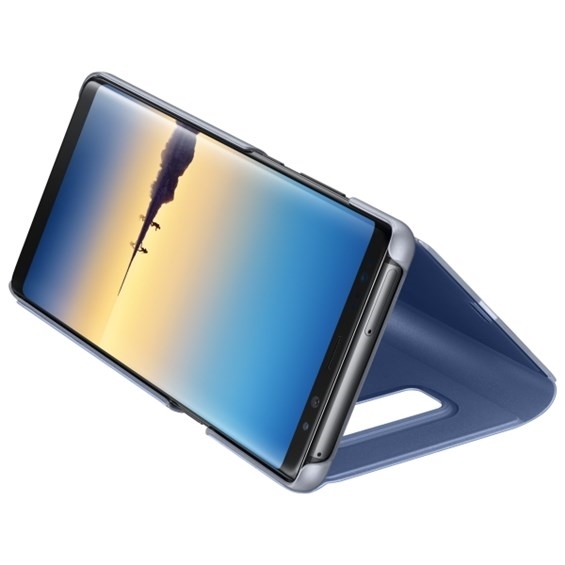 If you opt to buy this, I wish you better luck with it than I.
any experience with note 8 clear view case scratching? LED wallet vs S view? Our distributor has all the siedio stuff if you need anything we can get it in one business day. so i order seido glass from U? but not on site? We usually do not sell the seidio but we can special order it if you want you can just email us. have u seen a combo of led and view in one case? I have not seen that yet. k. thaks fo your time. order earned. I have not seen anybody make cases as nice as samsung yet. Spigen is nice but not the quality samsung is. also, any thoughts on magnetic mounts? I would not use one of those with the note8. Phone is just to expensive. An air vent is better. Check back we have note8 airvents coming in on october 13th. this is my #1 so far... glass cover, holster, kickstand... and so on. That is a pretty nice case. I have ordered several items from this website and i find their prices reasonable. The vendor is quick to respond to queries and if there is a problem it is e-mailed promptly. I have found their business sense to be fair and honest and the items i had ordered arrived as i had anticipated based on viewing it on their website. Items shown on website are well represented. The galaxy note 8 S-View cover that i ordered came in original packing. Although it was delayed, i was kept aware as to the progress of the order. My other item was a Shock Shield Curved Tempered Glass Screen Guard for Samsung Galaxy Note8, which i received promptly. I have been unhappy with the previous screen covers that i had from other vendors but having this screen guard has been excellent so far even over the curved edges. Finally they accept all major credit cards and PayPal. I prefer to do my buying through PayPal and dislike when I cant. Shipping choices are also well priced and in some cases can be free. I like to do all my shopping online. Because I am a sales person myself, I really prefer to not talk to sales people unless I approach them for assistance first. So I shop online! This website was very easy to use. First thing I noticed, was a sales person pop up offering assistance. I clicked him away and there was a subtle link I could click on should I need help along the way. So, I ordered my case, had an amazing .... too good to be true but it was true and I got my case for far less than if I had ordered direct from my carrier!!!. I received my payment receipt immediately in my email and had a follow up message when my phone case sent. Well I just opened to package it was here before I knew it, and the case is beautiful, arrived in good shape without damage. So, user friendly website, chat assistance available, easy payment method, order confirmation and shipment notification and product arrived in good shape. What more could I ask for?!!!! !